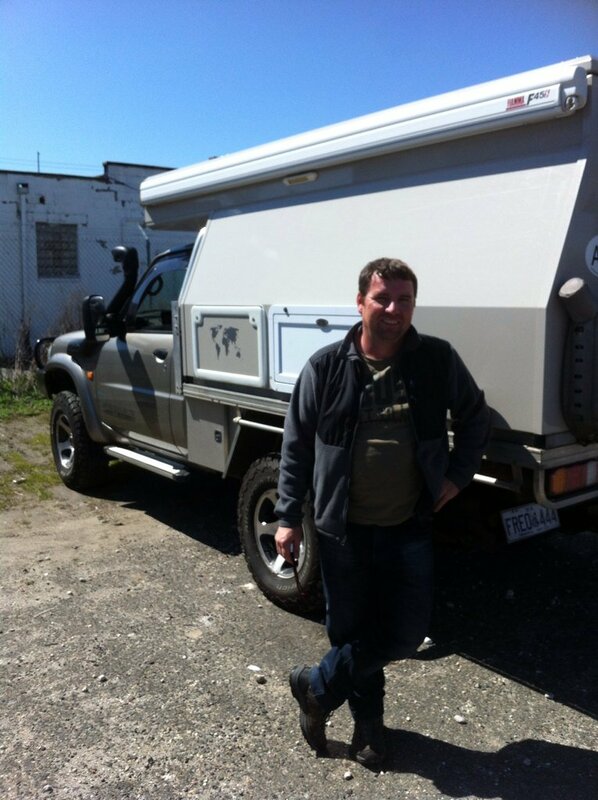 Planning to travel overland through Northern Asia, Europe and Africa from our home base in Fremantle, Western Australia has in many ways been a monumental task. You can approach the planning of such a trip from a lot of different angles, the time frame available is a major determining factor, maybe you have a few months available or maybe you’re able to take 12 months out from work. At the end of the day you have to work within the time you have available and any length of time that allows you to follow your dreams is time to be savoured! Our home being so far from our starting point along with the associated expense in getting ourselves and vehicle to that location, was the factor that started us thinking about getting ourselves into a position that would allow us to enjoy an extended period of travel. So some hard saving and no holidays for what seems to have been an interminable amount of time have got us close to being able to enjoy a long sabbatical. Having read on another blog, “800 days around the world!” that every dollar they saved would get them a few more “Adventure Miles” we too have taken to this with gusto and bandy the same phrase at each other with stunning regularity. Maybe we will be back in 6 months or maybe 2 years, we will see how we go or if we run out money before we have had enough! The next major factor is visa’s, as their duration and expiry determines our travel times to some extent. 3 months for Russia with multiple entries. We hit the ground in Vladivostok on the 15th of April have a maximum of 90 days stay or I guess we get a ride in a nice black saloon car! After Russia it’s into Europe with it’s own restrictions but we’ll get into that later. We are not strangers to travelling in our 4×4, addicted to camping is a description that I can live with and the freedom of a well set up vehicle takes everything to another level. Most of the vehicle based travel that we have enjoyed has revolved around reasonably well planned routes, you may have a few days or a few weeks so accurate planning is a must. 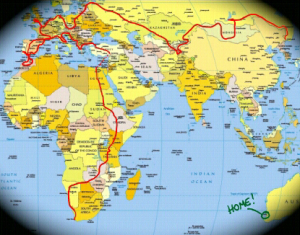 However, with the time we have available for this journey we are just jotting down must see places and from there we hope to go wherever the mood takes us, provided we still have visa’s and aren’t broke yet! The third big factor is weather. We would really like to spend some time being Summer tourists in Europe! So we need to start our trip reasonably early in the season to make that work and be heading for southern Europe by around October. Hence mid April is the date we have settled on to hit the ground in Vladivostok. It looks like we will still be facing temperatures well below zero degrees Celsius but I’m hoping the weather warms up consistently as the days slip by. So after many hours reading blogs and drooling over maps and guidebooks we have arrived at a rough route…. Vladivostok around to Lake Baikal – south into Mongolia – further south to the Gobi Desert and Yolyn Am Gorge – to Khovsgol Lake right up in the north of Mongolia – west until leaving Mongolia and entering Russia again – into Kazakhstan and south to Almaty – east from Almaty into Kyrgyzstan and west to Bishkek – into Tajikistan, the Pamir Hwy and Wakhan Valley – north through Uzbekistan and back into Kazakhstan – North West out of Kazakhstan and through to Moscow – St Petersburgh – into Latvia – Poland – Slovakia (staying with friends) – Czech Republic – Germany – Holland (staying with relatives) – France – UK (visiting friends) – France – Pyrenees – Andorra – Spain – Portugal for Christmas. I guess you could call that stage 1, hopefully the adventure will continue!! Stage 2 -car ferry to Morocco and back to Spain – France – Switzerland – Italy – Austria – Hungary – Romania – Bulgaria – Turkey – car ferry to Egypt and south to Aswan – car ferry to Wadi Halfa in Sudan – Ethiopia – Kenya – Tanzania – Zambia – Namibia – South Africa – car on the ship and back to Australia. NB: This plan has now changed as all the best ones do!! Now we are planning to complete our final lap of Europe and after sitting out the cold months in the UK , the plan is to ship the car to Halifax in Canada and tour the Americas. Hopefully the money holds and we can visit Southern Africa enroute to returning home. That is pretty much a list of the countries that we intend to travel through but where in those countries we end up will be guided by the political and civil mood and general vibe at the time. Hopefully lots of great tips from like minded travellers that we hope to meet along the way will also be a useful compass! It’s a little intense writing so many countries down and thinking we are actually going to travel through them all, so we are only looking a little ahead of where we are at any given time….